Kyle’s spiritual seeking and aspiration to find a deeper Truth began when he was just a 15-year-old boy studying Buddhism in England. After traveling to Peru in 2013 to work with plant medicines, he met Sahajananda. Kyle connected very deeply with the teachings during his first Hridaya Silent Meditation Retreat. He decided to come to Mexico to go deeper in his practice and to partake in the Hridaya Teacher Training Course. Since that time, Kyle has been sharing the teachings and leading Hridaya Silent Meditation Retreats in many countries in Latin America. 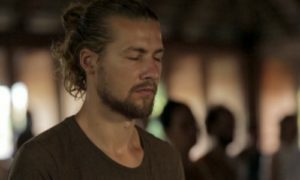 Kyle currently teaches at the Hridaya Yoga Center in Mazunte.